In his book The Tyranny of Clichés: How Liberals Cheat in the War of Ideas, Conservative Pundit and Columnist Jonah Goldberg devotes an entire chapter to the meaning of the term social justice and concludes that not only do its proponents not define what they mean by it but that it means little more than a vague swat at “goodness.” It is clear that he greatly devalues the idea of social justice and proceeds to all but laugh at anyone who tries to engage in it. Yes, “more than just the State.” The assumption that even the most liberal progressive social justice advocate would insist that all work to make our world a more just place requires the uniform action of the State and not affirmative acts by each of us as individuals and with the help of the myriad of private associations we belong to that are also interested in social justice is rather odd. It is also an insult to any human being who bothers to care for his fellow man in an altruistic manner. Conservatives here in the United States during the last ten years or so have often come to devalue altruism as well. And the re-distributive nature of social justice is greatly feared. The overwhelming majority of Americans of all political viewpoints do not seek a fully socialistic equal economic outcome. We simply want the opportunity to work for a good economic outcome and to be justly rewarded for that. But when over the last ten years fully 99% of the growth in income of all kinds in our society and during the most recent year 100% goes to the top one percent of income earners the re-distributive nature of our economy has created such an income disparity it is obscene to talk of the evils of re-distribution that moves in the other direction to poor or middle class Americans. Goldberg makes clear why conservatives are so afraid of social justice: a government might have something to do with it. Beyond the very important contribution of the Faith Community; conservatives politically have little or no interest in it. If government does anything for the good of us all, and even where we discuss how we are going to do that within the context of a representative democracy it is an evil. It is just a mirage. It is dangerous. Conservative Guru Glenn Beck says that if you even hear someone in a church use the term you are to “run out of that church as fast as possible.” What is Mr. Beck so afraid of? It could be his sale of gold on his radio and internet broadcast programs and exhortations to acquire wealth, land, and to be ready for the great communist uprising led by the Federal Government, Van Jones, President Obama gone fully in to despotic mode, or the bugbear of Obamacare smothering us or whatever conservatives worry about each day. So trying to make the world a place where each human being is treated equally before the law, has full access to the last two attributes of Social Justice the Oxford English Dictionary cites “”opportunities and privileges” is an evil mirage I am happy to embrace. Social justice means doing what is right whether it is as an individual, or a private association I belong to or what my Government does at each level. And it is especially activated when we do what is right that is hard and not easy. And “goodness” is most incumbent on our individual efforts but government is an entity where political power is shared, distributed and checked by the power of the ballot, our Constitution of the United States and each citizen’s taking greater responsibility for ensuring that no one, rich or poor in wealth or opportunities and privileges are disadvantaged by the rest of us. 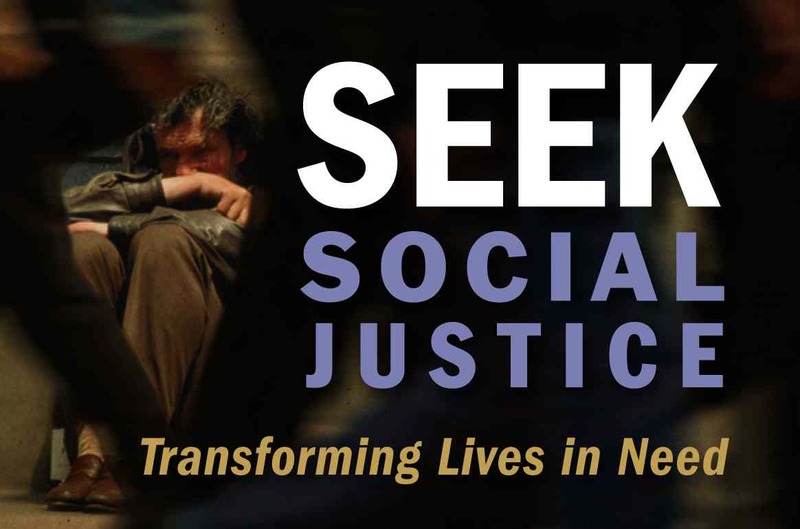 For me, social justice is a principled moral stand for equal treatment under the law, and an abiding respect for the whole range of human rights that human beings no matter their race, gender, sexual orientation, ethnicity, economic class, or religious belief, and the manner in which they are situated at present fall heir to. And most importantly, it is acting on these principled moral ideas in our lives and pressing for those who rule us to do the same. That includes white, rich, heterosexual homophobe, evangelical Christian conservatives as much as anyone. Our membership in the human race requires that justice be done to us and for us as we grasp for our liberty and freedom that was the whole point of the American democratic experiment in the first place. Taking a rich man’s wealth without due process is as unjust as ignoring the many Lazarus like figures who sit outside the province of the rich and powerful and reach for crumbs even dogs would not eat. The Judeo-Christian Scriptures offer us an important lesson in Social Justice here that none of us can afford to ignore—not even the confirmed atheist or agnostic. I say to Jonah Goldberg that it is very sad how resistant to social justice conservatives are. Liberal progressives do not have any kind of monopoly on the thing. Conservatives are not excluded from acting as individuals and members of other civil societies in doing even more for their fellow man acting completely outside of the self-interest that our instinct for survival pushes us to. We must find “the better Angels of our nature” as Lincoln said. And we must recognize that our Government that collectively represents all of us is just as encumbered with the responsibility for engaging in social justice. It is that approximation of the good society we all seek. Well, at least some of us do. And those that do need the help of conservatives like Jonah Goldberg in devising ways that we can both publicly and privately engage in social justice together. At present we have just half of the brainpower of our people interested in doing so. Dr. Martin Luther King Jr. said that he was “cognizant of the interrelatedness of all communities and states” and that “Injustice anywhere is a threat to justice everywhere. We are caught in an inescapable network of mutuality, tied in a single garment of destiny.” He also noted that “the Arc of the Moral Universe is long but it bends toward justice.” That includes social justice—the kind done to and for a common humanity that is fully altruistic an unselfish abandonment however temporarily of our own individual self-interest. The Bible even has the highest praise for the man that lays down his life for another. That too is social justice.. The kind of selfish conservative devaluation and harsh rejection of social justice is simply not borne out by the fact of our membership in the human family—the most important of civil societies Goldberg is so keen to point out to us beyond our own Government filled with the powerful who rule us—with our consent to be governed. Social justice is the great moral imperative of any just or good society or community within the human family. This entry was posted in Essays, The Faith Community and tagged affirmative acts, distributive justice, friedrich a hayek. Bookmark the permalink.